We were past “I think you’re hot” and not quite to “I love you.” Beyond my irrational insecurities around personal feelings, it just seems so trite to make those sorts of declarations because of wold’s most contrived holiday. But I couldn’t deny that it was that day and I knew I had to do something. I wanted to do something. I just didn’t want one of those stupid arrows to to smack her in the face. I was hoping to just sort of graze her. When it came to how I would express my feelings, I wanted it to be stirring, sensual, eloquent and cool. So, I did the mature thing and had someone else do it for me. Someone who knew just what to say and exactly how to say it: John Coltrane. 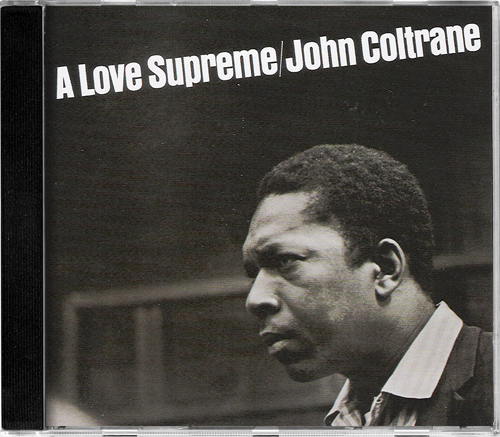 One of my favorite albums of any genre, A Love Supreme makes the hair on the back of my neck stand up on end every time I listen to it, and I figured I couldn’t go wrong if I could wrap my sentiments in that. 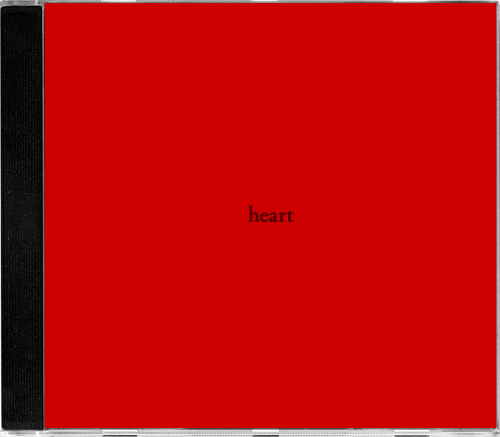 My card was just a piece of warm red paper mounted it to the cover with removable tape, typeset with the word heart, so she would know where it came from.